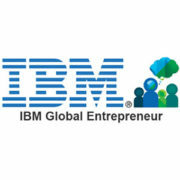 OcularAI is delighted to get admitted into the IBM Global Entrepreneur Program for Cloud Startups. Thanks, IBM! http://ocular.ai/wp-content/uploads/2017/11/ibm.jpg 300 300 ThOmAs_RHetTt_2013 http://ocular.ai/wp-content/uploads/2018/07/png-logo-centered-light-blue-300x300.png ThOmAs_RHetTt_20132017-02-01 15:38:252018-10-15 23:07:45Thanks, IBM!